A lot of money can be saved by using less expensive sign making material when the sign doesn’t need to last for 20 years. 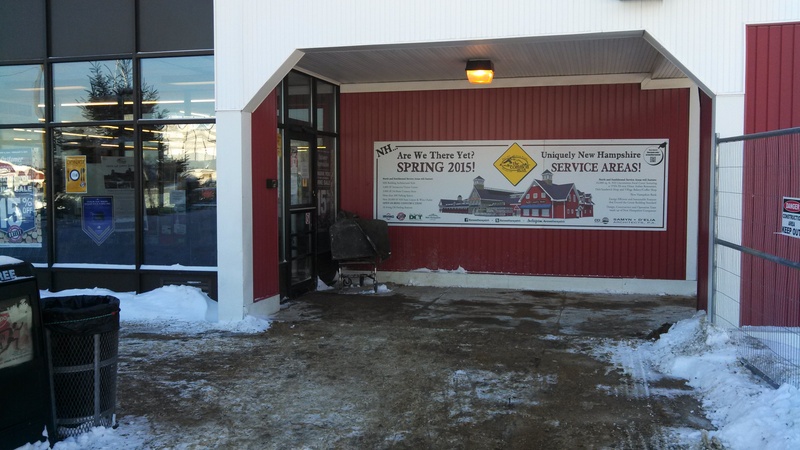 In this case, the Common Man restaurants are building a new rest area along I93 in Hookset NH, and they needed a sign that will be up for about a year. As you can see, it’s outside but out of the weather. We printed these on Ultraboard, which is plastic on either side of styrofoam. It’s a pretty good choice for this kind of work, it’s stable and waterproof and I don’t worry at all about it lasting for a year. It’s also light, which makes it easy to install. If you want a great looking temporary sign, this is a great way to do it for less. This entry was posted in Flatbed printing and tagged affordable signs, cheap signs, construction signs, temporary signs. Bookmark the permalink.